If you live in a condo and enjoy coming home and living in a professionally cleaned environment, contact the team at Mango Maids. We have experience working with condo properties, working with both developers and individual unit owners on a single job or ongoing maid service basis. A clean condo can be the difference between a pleasant and unpleasant living space. Condos often offer external landscape and other great services to provide a more maintained lifestyle. Increase the amount of professional condo maintenance with professional cleaning services. Cleaning all the aspects of an entire condominium can be a big job. Don’t let your work and personal life be interrupted by having to spend hours even an entire day cleaning your home. Leave your condo cleaning needs to be handled by an experienced professional. The condo cleaning expert’s t Mango Maids can help with each and any of your specific condos cleaning needs. From specialized surfaces and appliances to general large cleans; Mango Maids will have your condo looking spotless. Contact Mango Maids today to learn more about our condo cleaning services! Having a professional cleaning provides service your condo cleaning needs harbors numerous benefits. First professional cleaners live up to the highest levels of cleanliness and sanitation. 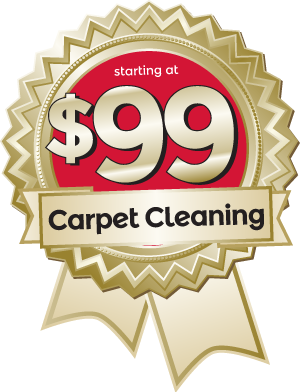 Professional cleaners can schedule cleaning services and time that suit your specific schedule and needs. A professional cleaner is able to inspect condos for messes that owners may be unaware of. The team at Mango Maids also bring an eco-friendly approach to all our condo cleaning projects. Trust the professional condo cleaners at Mango Maids with your condo cleaning needs. Condo’s can range in size, style, the number of residents, and common usages. The varying lifestyle and personal needs of your condo space will largely dictate the products and services required to clean your condo space. The processes associated with cleaning your condo can vary largely in the space as well as with your specific condo cleaning needs and desires. Mango Maids we always provide initial estimates and consultations before beginning a condo cleaning processes. Call or email Mango Maids today to learn about the cleaning process for your condominium. The floor in your condo unit can come in contact with absolute varieties of dust, dirt, spills, and other contaminants. Messes on your floor can quickly make your condo less appealing and comfortable. Varying styles of flooring can attract different contaminants. Make sure your floors salty clean, sanitized and aesthetically pleasing with professional condo floor cleaning services. The team of expert floor cleaners at Mango Maids is here to help with your specific condo floor cleaning needs! Appliances in condos can face extreme messes through everyday or common usages and or surface spills. From exploding food in your microwave to mold residue in your fridge, to simply looking for your appliances to look new again, trust your condo appliance cleaning needs to the professionals at Mango Maids. We have the eco-friendly products and approach to completely clean your condo appliances. Our team will work around your schedule to make sure your condominium appliances are left spotless. Contact Mango Maids today with your condo appliance cleaning needs. Your gorgeous condo deserves to stay clean, sanitary, tidy and welcoming. You shouldn’t have to sacrifice your work life or personal life to clean your condo area. That is why at Mango Maids we are here to provide an eco-friendly cleaning approach that helps with your specific and general are condo cleaning. Our team has years of experience helping clients across Western Canada with their condo cleaning needs. If you have any question, or require condo cleaning services contact Mango Maids today!